Aiko (柳井 愛子 Yanai Aiko, born November 22, 1975 in Suita, Osaka), is a Japanese pop singer-songwriter. Oricon published the results of a survey of 20,000 subscribers' favourite singers, and Aiko topped the list in both 2005 and 2006. 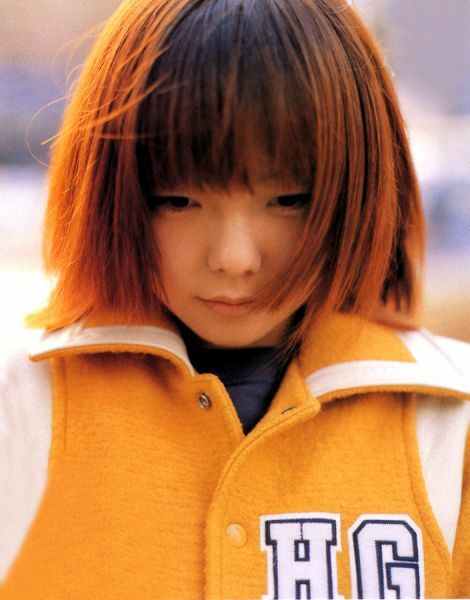 I love aiko, reminds me of a girl I once knew. She's so cute. Are there any other Aiko fans at ?? Aww, Aiko... I was big into her back when I was just getting into Japanese music. She was just too cute. I think this is the most memorable song and video for me. From '99. Simple and cute. Oh I love me some aiko. So cute and sweet. I haven't been keeping up with her lately though. I love aiko. My favorite song is Shiawase. Her new album is great, love it. Hearing her on Ping's 3x10 Charts (Weekly on Sundays on JPHiP Radio) inspired me to make this thread!! My fave songs be Rozy, Hatsukoi, Kabutomushi, Koibito, Milk. 12th ALBUM 5/18 OUT!!! YES!